London Diamond Bourse President Freddy Shalteel Hager was a central figure in the diamond industry for many years. Born in October 1948, in post-war Britain, his start was humble. 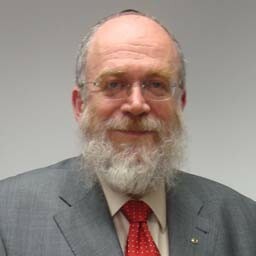 He graduated from University College London in 1972 with a degree in economics and moved to Israel to learn the diamond business. At first, he was not sure he really wanted to work with diamonds, but after he learned how to sort and grade small diamonds, he changed his mind. In 1974, he returned to London and started his own diamond business in Hatton Garden. At first, he represented a large diamond company he had worked with in Israel. 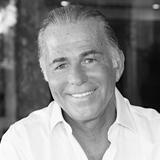 That relationship ended in 1979, leading to a new important relationship, this one with diamond giant William Goldberg and his firm William Goldberg Diamond Corp.
Hager had a broad view of the diamond industry and plenty of leadership skills. It was not long before he became heavily involved with the London Diamond Bourse, and in 1980 he was elected to the bourse’s management committee. In 1991, he was elected President of the Bourse. The London Diamond Bourse was one of the two London-based bourses, the other being the London Diamond Club. In 1994, as part of his vision of unifying the industry, he started at home, overseeing the merger of the two London diamond bourses into a single and broad diamond bourse that served all of London’s diamond traders. The merged bourse was named The London Diamond Bourse & Club. In 2000, he was among the people who founded the World Diamond Council (WDC), the organization that represents the diamond industry in the Kimberley Process that combats trade in illicit diamonds. Hager was elected to the World Federation of Diamond Bourses’ (WFDB) Executive Committee at the 29th World Diamond Congress in Antwerp in 2000 and served as Deputy Treasurer General and as Chairman of the WFDB's Trade and Promotions Committee. Furthermore, he pushed the federation to form its better business symbol, the WFDB Mark. His interest in the diamond industry extended beyond trading polished diamonds. In 2005, he became involved with Target Resources PLC, a company engaged in the exploration and mining of alluvial diamonds in Sierra Leone and served as its chairman. In the eyes of his peers and those who worked with him, Hager was a friend and a mentor. He was considered a visionary who worked tirelessly behind the scenes for the diamond community at home and globally. All who knew him called him a genuine gentleman who nonetheless was a straight-forward, no-nonsense talker. Hager, a Hasidic Jew, was very active in his religious community and served in a number of roles in his synagogue and local Jewish school. On April 7, 2011, Hager returned home from the morning prayers at the synagogue, collapsed and died at home. He left his wife Louise and four children.